7th Dec, 2016: A string of events and celebrations took place in Jharkhand, Madhya Pradesh, West Bengal, Odisha and digitally across the country to celebrate International Day of Persons with Disabilities on 3rd December. 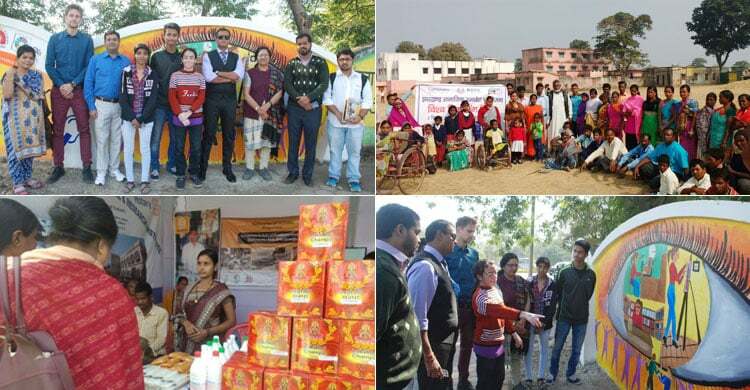 Sightsavers India, a development organisation that works to eliminate avoidable blindness and promotes equal opportunities for disabled people decided to continue with the events for a couple of days to sensitise people on disability in a unique way. This year’s theme of International Day for Persons with Disabilities is ‘Achieving 17 Goals for the Future We Want’, building on last year’s historic agreement by all United Nations members to sustainable development that ensures a prosperous future for everyone while protecting the environment. The commitment running through the goals is ‘leaving no one behind’ which was the mainstay of the events organised by Sightsavers. Multiple eye screening camps were organised by Sightsavers India. 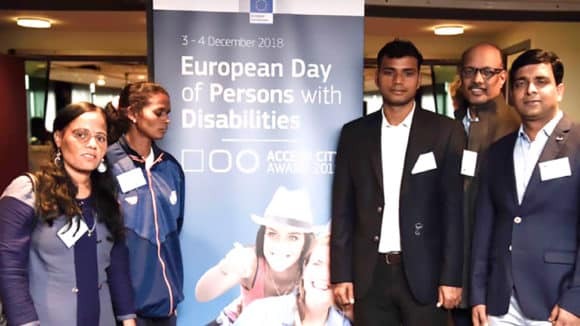 “The idea behind organising these multi-state events was to sensitise people on how disability especially related to vision doesn’t impede a person’s aspirations and growth. 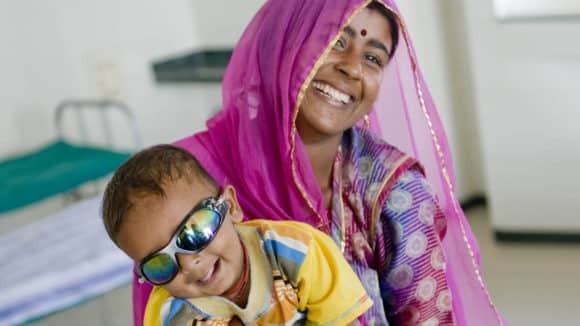 Sightsavers through its Social Inclusion, Eye Health, and Inclusive Education programmes is affecting the lives of millions of people in the remotest corners of the country. 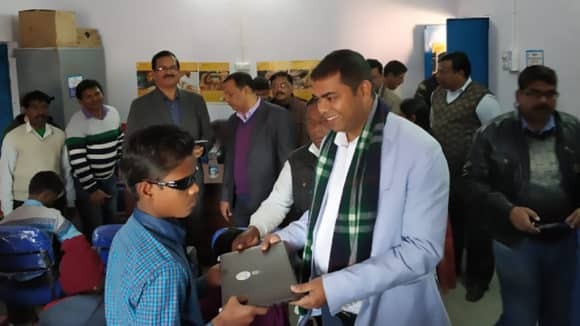 In keeping with this year’s theme for International Day for Persons with Disabilities, we are reinforcing our commitment to eliminating avoidable blindness,” said Mr RN Mohanty, CEO, Sightsavers India. In Bhopal, students of Sarjana Academy for Design and Fine Arts joined hands with Sightsavers to contribute to Madhya Pradesh’s tradition of mural art with a live art event at Jai Prakash District Hospital walls from 3rd to 6th December. Students congregated at the hospital to unleash their creativity and share what it means for a young girl with visual impairment to get quality education, for a blind man to have equal opportunity in working at a place of his choice, or for a person on wheelchair to easily access public places like hospitals. The students, working with people with disabilities in Madhya Pradesh created murals conveying the message that none of us – regardless of who we are – should be left behind in the pursuit of a prosperous, sustainable future. 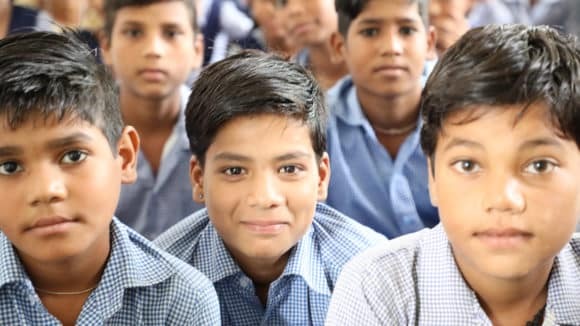 The Bihar Education Project Council (BEPC), Department of Education, every year celebrates the day through its event UDAAN in which children with disability from all districts of Bihar participate. UDAAN is a two-day event in which disabled children participate in state-level sports events, cultural functions and other educational events. 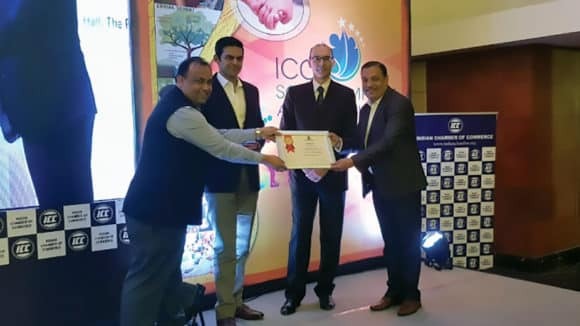 This year BEPC, which is celebrating its 25th year and Sightsavers its 50th year in India, collaborated for the event. Sightsavers supports BEPC for the Inclusive Education component of BEPC. On the closing day, Mr Ashok Choudhary, Hon’ble Minister of Education and Shri Senthil K Kumar, SPD (RMSA) honoured children who topped the different events of the two day function. Children concluded the celebrations by breaking into traditional songs for the closing ceremony. In Jharkhand, rallies in various districts including Dumka was organised by Sightsavers to sensitise people on disability. An exhibition of products by Self Help Groups was organised in Odisha to celebrate the day by Sightsavers. A pan-India photography competition, ‘Picture This – Snapshots of Your Inaccessible City’ was the concluding event of the celebration. Participants from across the country shared pictures of positive change on social inclusion for people with disability.